Carrie Cakeaway: Mas margaritas, por favor! I think it's safe to say that a refreshing margarita makes for a great happy hour at the end of a busy workday. 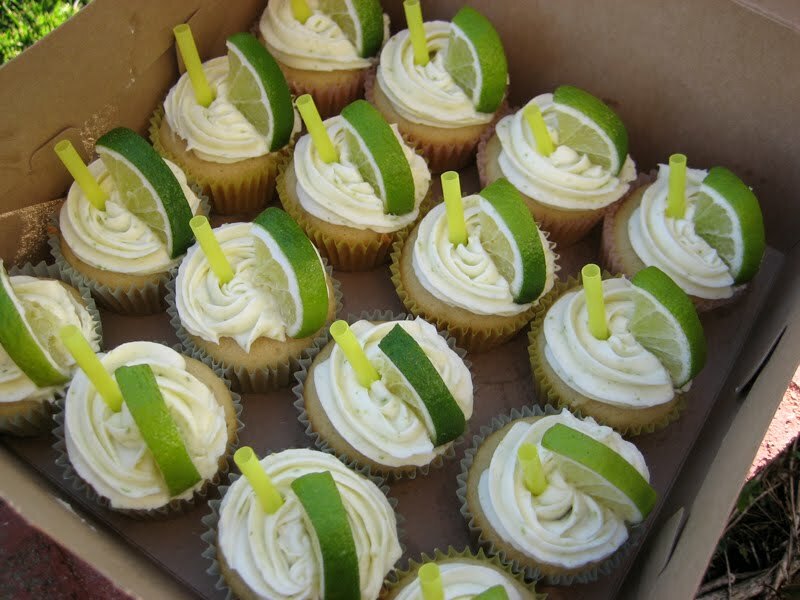 Naturally, a refreshing margarita cupcake is a great way to bring happy hour into the workday, don't you agree? 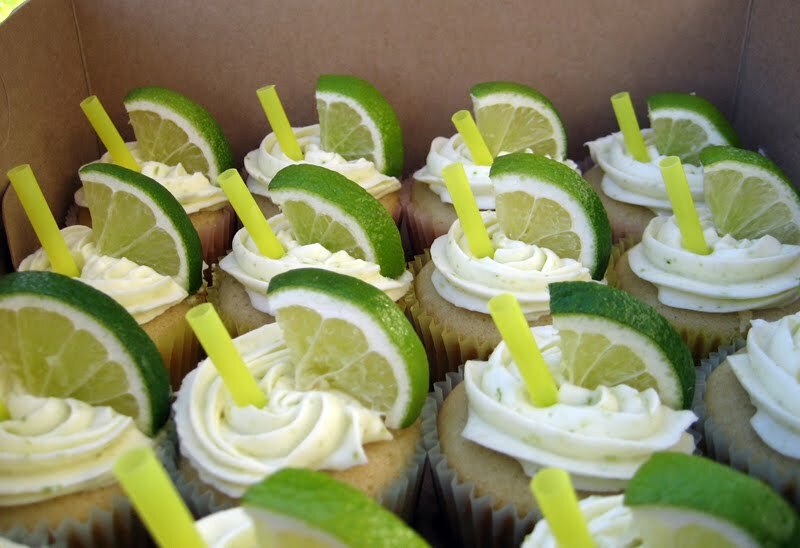 Bernadette did just that when she ordered a batch for her coworker's going-away party at the office after these festive little party starters caught her eye. She was introduced to Carrie Cakeaway through her husband, Brian, who coincidentally works with my assistant and sampled a couple of cupcakes at la Carrie at Robin's going-away party.